My Five Reasons to Buy a Home in Person County will help your home buying decision. That’s a promise. This is particularly true if you’re trying to decide buying in Person County versus Durham or Orange Counties. Why is this particularly important? First of all, you are about to invest a substantial amount of money. A home is usually your most expensive purchase. That is a good reason to get your decision right. More bang for your housing buck – The cost of housing is incredibly cheaper in Person County versus next door Durham or Orange Counties. The cost of housing in Durham County is 99.9% of the national average. Orange is a whopping 132.1% of the national average. Person County comes in at only 65.5% of the national average. Depending on the price of the home you buy, that difference is worth hundreds of thousands of dollars saved over the life of your mortgage. Lower property taxes – You’ll see a big difference in taxes. The average property tax rate in Orange County is 1.192%. Durham is steeper at 1.230%. Person will make you smile. That rate is .777%. That makes Durham County property taxes an amazing 37% higher than Person County. Think what you could do every year with those real estate tax savings. That kind of tax cut and being close to the Durham and Chapel Hill job markets is a big attraction. Middle class friendly – Person County is oriented to the middle class and families. Sure, there are higher priced homes on the water at Hyco Lake, but homes under $250,000 are the norm in Person County. There are plenty of properties large enough for a growing family. Looking for a little land with your house? You’ll certainly find a lot of properties with land to spare at prices far below what you would pay in Durham or Orange Counties. 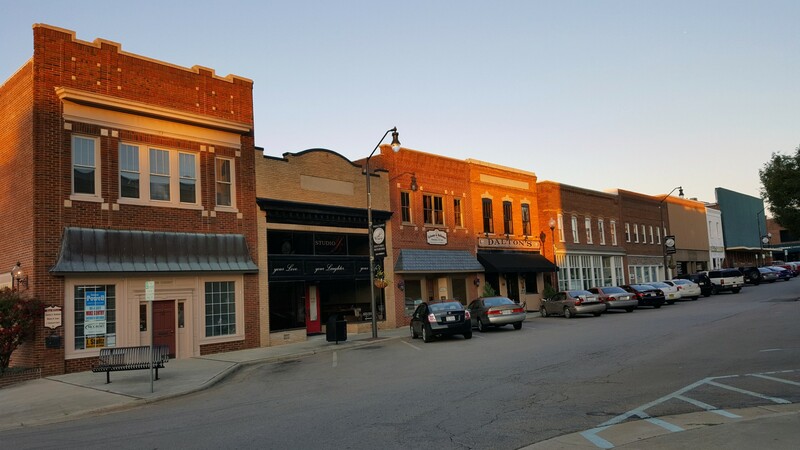 Mature neighborhoods – In Person County, many of your home options are in walkable mature neighborhoods with local businesses and friendly neighbors. You’ll find yourself a home rather than just a place to live. These are affordable neighborhoods, saving you money for other things in life or saving you from having less of a lifestyle than you’d want. This is especially important for both growing families and retirees. Find a home in a community that welcomes you. Location – Everyone has heard that in real estate it is location, location, location! Person County has that location advantage right now. The future growth is towards toward Person County. It has accessible road systems that aren’t sprouting traffic jams. I-85 is just minutes from Eastern Person County and several US and North Carolina highways provide a network of road options. Four lane US 501 gives easy access to Durham and into Virginia. Healthcare access is always important and in Person County you have both hospital and medical facilities affiliated with Duke Hospital System. Person Memorial is caring, clean, and convenient. For more complex needs, it is a 30 minute drive to either Duke Hospital or UNC Hospital. That’s world class medical care just a short drive away. The same driving distance and time applies if you want access to sports at Duke, UNC, or the Durham Bulls. World class entertainment is available at the Durham Performing Arts Center and there are a multitude of restaurants in Durham and Chapel Hill. Here’s a parting thought. The money you save by locating just five to ten miles away can be applied to your children’s education, your retirement, and many other life enhancements. You’re still living in the same size house with the same quality of construction. Less cost for the house and lower taxes equals more money in your pocket. It’s that simple. See, I promised I’d give you five strong reasons to buy a home in Person County and I delivered. If you’re ready to start on that process, check out our latest property, 502 Jefferson Drive, Roxboro, NC. You’re not going to find a fully renovated, sparkling 3 bedroom, 2 bath, 1,986 sf brick house on half acre lot in Durham or Orange Counties for $164,900, promise!